Isolator++ enables easy unit testing of existing and new C++ code on Windows 32/64 bit. Isolator++ allows you change the behavior of dependencies in your code, without changing it. 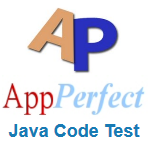 You build a test application using the framework of your choice (GoogleTest, UnitTest++, CppUnit, etc. ), include Isolator++ header file, link with the Isolator++ library and then use the Isolator++ APIs in your tests to change the behavior of method calls to dependencies. All this without changing their code. Isolator++ contains innovative features to keep your tests short, readable and robust. HP Fortify Static Code Analyzer provides automated static code analysis to help developers eliminated vulnerabilities and build secure software. HP Fortify Static Code Analyzer helps verify that the software is trustworthy, reduce costs, increase productivity and implement secure coding best practices. Static Code Analyzer automates all aspects of successful SSA program, scans source code, identifies root causes of software security vulnerabilities and correlates and prioritizes results--giving line-of-code guidance for closing gaps in the security. To verify that the most serious issues are addressed first, it correlates and prioritizes results to deliver an accurate, risk-ranked list of issues. The Coverity® Code Advisor solution includes Coverity Quality Advisor and Coverity Security Advisor. The solution surfaces quality and security defects in the developer workflow, with accurate and actionable remediation guidance, based on patented techniques and a decade of research and development and analysis of over 10 billion lines of proprietary and open source code. AdaTEST 95 has been designed around the requirements of the Ada language to produce a tool which allows developers to efficiently perform unit and integration testing. 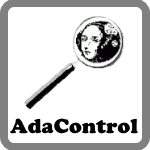 AdaTEST toolset has been at the forefront of Ada code verification. 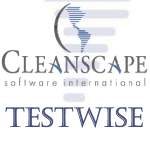 The product offers high productivity and a unique set of testing, coverage analysis and static analysis features. Leveraging our core capabilities, QA·C++ is the most sophisticated static analysis solution for advanced C++ environments, combining language compliance (up to the latest C++11 version) with advanced language and dataflow analysis. 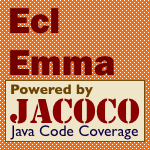 With compliance packages for MISRA C++, HIC++ and JSF AV C++ coding standards, QA·C++ offers an automated, highly effective means of analyzing your code against your chosen coding standard, with metrics and code structure visualizations bringing a further level of clarity to complex C++ projects.